That Tom Hanks is something else. Just when you think he can’t outdo himself, he goes to a NY Rangers hockey game and poses on the jumbotron with his Cast Away costar Wilson. 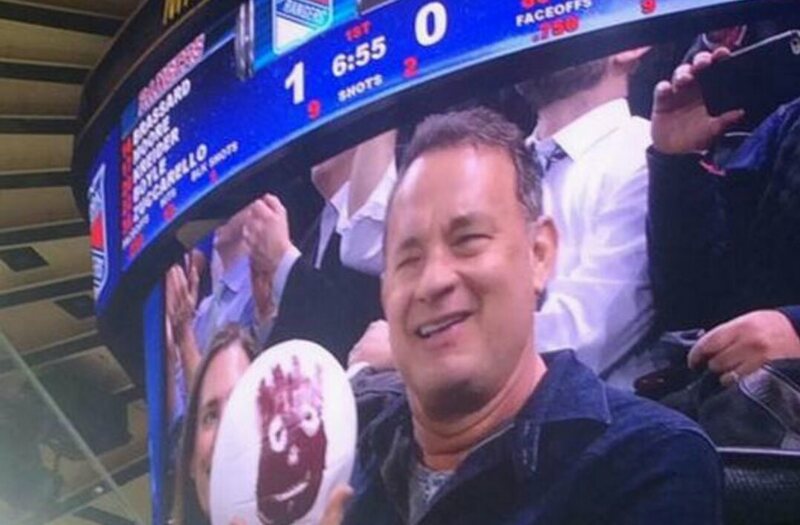 There are good sports, good people, and then there is Tom Hanks. Hit the music! Posted on February 5, 2015, in Average Blog Posts and tagged cast away, ny rangers, tom hanks, wilson. Bookmark the permalink. Leave a comment.